Illustrated and written in the style of original authors, Margaret and H.A. 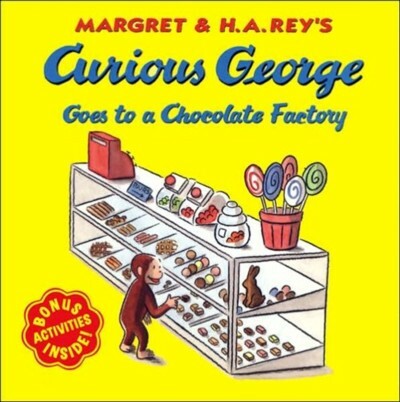 Rey, this 1998 release finds George and the infamous man in the yellow hat visiting a chocolate factory. 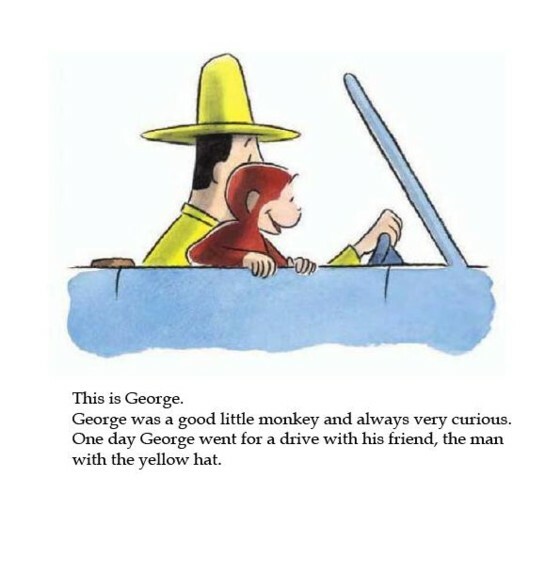 When the yellow-hatted man tells George "wait here while I buy these, and please stay out of trouble," you KNOW that George will do exactly the opposite. 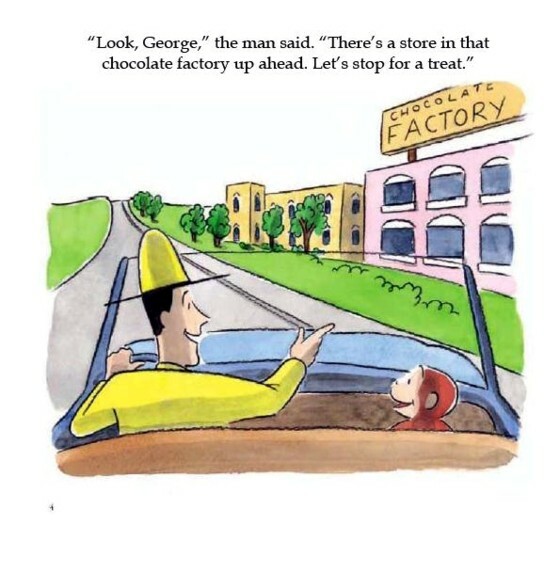 After all, George is CURIOUS, and his inquiring personality and sweet tooth lead him deeper and deeper into the inner workings of the factory, where he gets into more trouble. 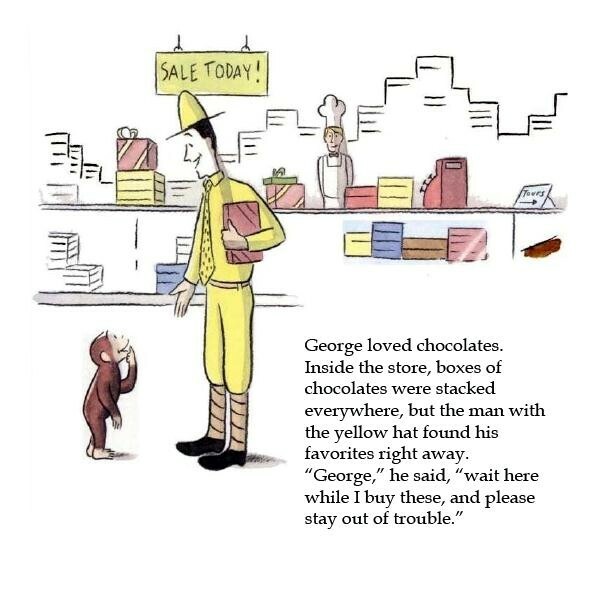 His quick hands and mouth save the factory from his own curiosity-inspired havoc, and George goes home happy and full. 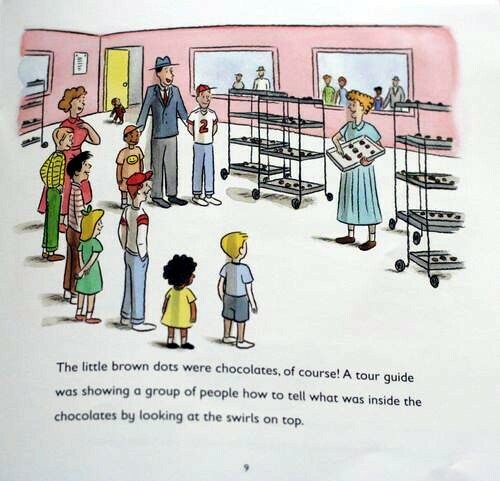 While not as clever as some of the earlier books in the series, the chocolate factory setting is inspired. Page 10, for example, depicts seven different mouth-watering chocolates. 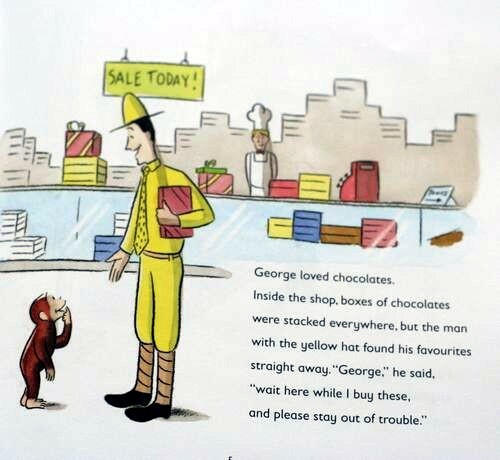 Little ones will understand George's interest in the making of chocolates, and his accidental, temporary wrecking of the assembly line. 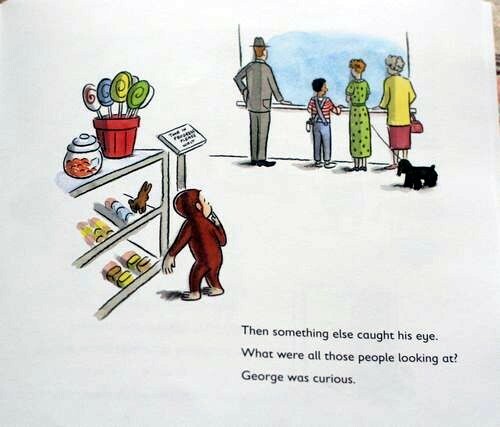 Again, I don't think it's quite up to the high standards of some of the other "Curious George" books. Twenty-two pages, with understated watercolor and pencil illustrations on each page.